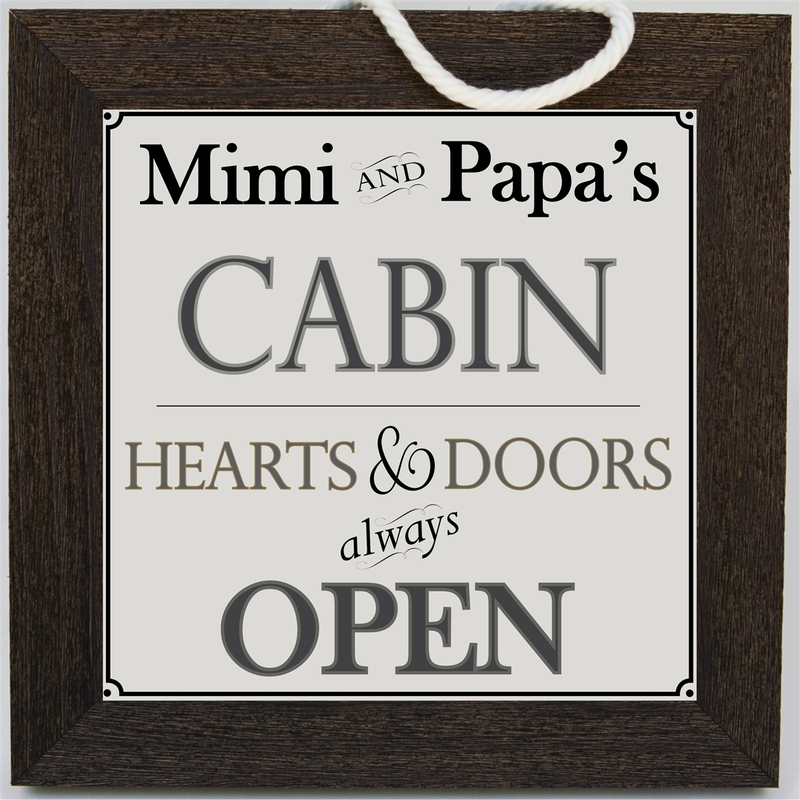 Personalize a special sign for grandparents with our new Cabin sign. Grandmas and grandpas will love this personalized grandparent sign you create (with our help :) ), just for them. If family memories are being made in a wonderful cabin where generations gather, then this sign says it all. Our 8x8 white distressed frame is made in the USA and features a rope for hanging or easelback for table display and a non-breakable acrylic front. 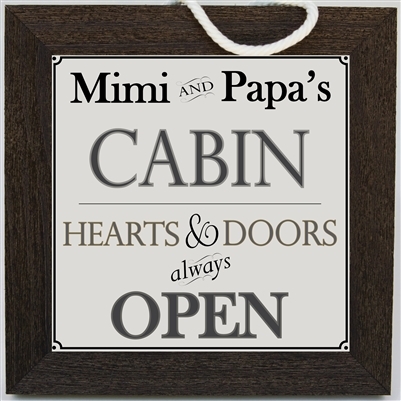 Our grandparent cabin sign makes a wonderful Grandparent's Day gift, gift for Mother's Day or Father's Day and would be a terrific Christmas present for grandma and grandpa. This was the perfect gift for my father-in-law. We purchased it as a gift from our daughter and had it personalized. It looks even better in person and it's the perfect size! This company has great products and fast shipping. We will continue to shop here.